Val Zod and Earth 2: World's End! 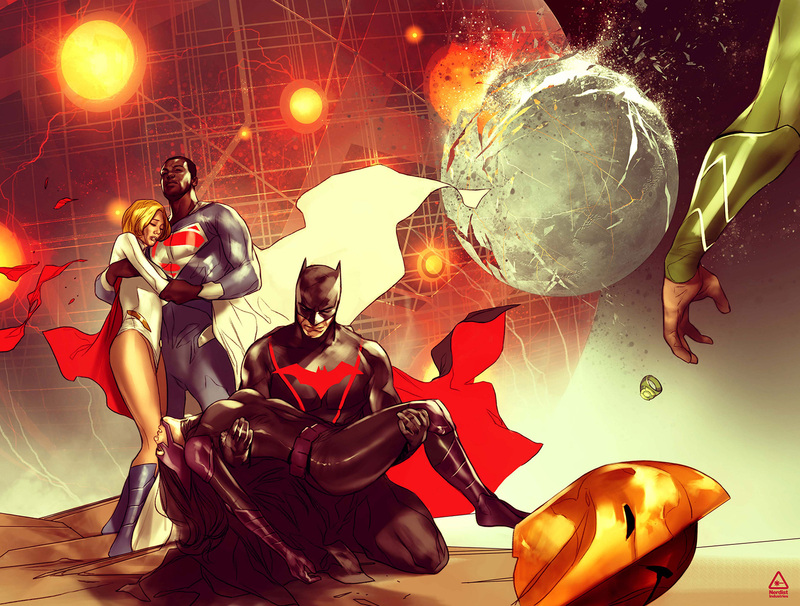 Here’s something to look forward to from DC Comics in the coming months, “Earth 2: World’s End”! The art from the series seen above shows a clearly grown up Val Zod, the dark skinned Kryptonian coming into his own in the Earth 2 series by Tom Taylor and Paul Levitz. The series will be written by Tom Taylor and Paul Levitz, who currently write Earth 2 and Worlds’ Finest along with Daniel H. Wilson, Marguerite Bennet, and Mike Johnson on writing duties. Eddy Barrows, Jorge Jimenez, Stephen Segovia, Paulo Siqueira, and Tyler Kirkham will be the rotating artists for the weekly series. I don’t know about you guys but I’m excited at the prospect of having more Earth 2 tales in my hand. I’m also digging the color scheme for Val Zod‘s superman costume.